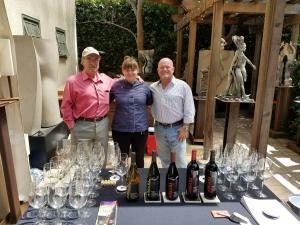 Martin Brown, owner of Area 5.1 Winery (Santa Barbara) brought his wit and 5 lovely wines to pair with the gourmet appetizers created by Happy Spatulas Catering. All this took place in a most amazing setting-the private home gallery/workshop of renowned sculptor Tanya Ragir. All the guests enjoyed the food, wine, meeting the artist and touring her workshop. 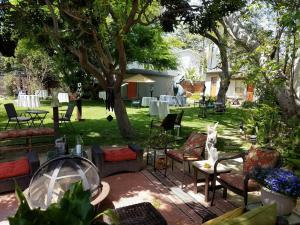 Everyone commented what a great event it was and hoped Gourmet Wine Getaways would bring another event back to this special venue. Stay tuned-we feel the same way! Most popular wine of the event was the 2016 Area 5.1 Equinox. The wine is a 50/50 blend of Sauvignon Blanc and Arneis. Grab some if you can find it. If not, contact the winery and they will ship it to you. The best pairing of the day was the 2014 Area 5.1 Majestic 12 paired with Braised Portobello Mushroom on a Roasted Potato slice. To quote owner Martin Brown, I need to serve this dish in my tasting room! Nothing more need be said. 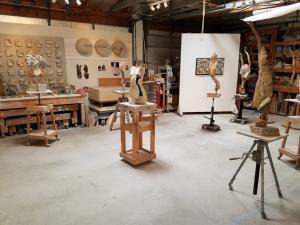 Sculptor Tanya Ragir’s home workshop was filled with her lovely works of art.